Where Were The Brexit 'No-Deal' Warnings During The Scottish Independence Debate? Four years ago, 45 per cent of Scottish voters favoured leaving the UK. Many of the warnings about the negative impact of independence on the Scottish economy were justified. But they did not extinguish a yearning for independence – and the same could be said of the EU referendum, with the caveat that this time a majority voted to leave, and many of the warnings were unjustified. An ineradicable desire to get our country back triumphed over the Project Fear campaign conducted by the Treasury and the whole of the nomenklatura that sought to preserve position, power and privilege for itself and to suppress any notion that ordinary people, in Britain or in any other European country, could have a say in how they are governed. In part, that triumph came because of the risible – and dubiously motivated – nature of the economic argument for staying in as presented by assorted anti-Brexit ‘experts’; the ‘experts’ who habitually get the big questions wrong. Indeed, I believe that on the balance of probabilities the longer-term impact of Brexit on the British economy will be favourable. Now we’re being told that leaving the EU without a deal would be economically catastrophic. Curiously, those same ‘experts’ didn’t flag up such purported risks associated with Scotland leaving the EU and the UK without a deal four years ago; and Scottish independence would have inevitably been a no-deal exit from both. 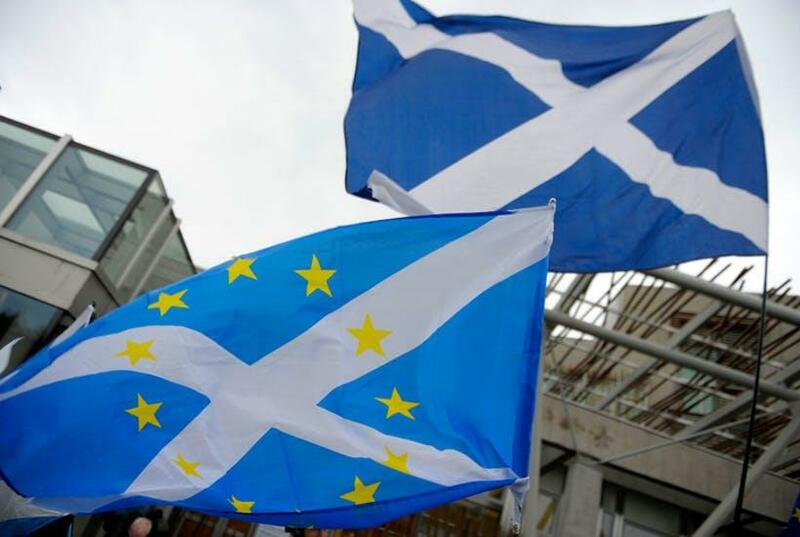 The EU, and for that matter the rest of the UK, could not have negotiated any kind of trade arrangement with Scotland until it became a sovereign state – that is, until it was already out of the UK and thus out of the EU. Yet no one suggested, as they now suggest about Brexit, that ‘no deal’ would mean the imposition of a blockade. Not even the most ardent unionists warned of plagues of super-gonorrhea and of Prime Ministers being deprived of insulin. Why not? The answer says a lot about the true nature of the EU and its attitudes to Britain, which are very different from English attitudes to Scotland. But economics first. The Treasury’s notorious short-term prediction of immediate recession, rocketing unemployment and a ‘punishment Budget’ if Leave won has been shown to be utterly, scandalously wrong. For one thing, it assumed that fiscal and monetary policy would become more restrictive if Leave won. That aspect of their dire warnings was proved false the very day after the referendum. But even to have threatened that the people would be punished for voting in the ‘wrong’ way was disgraceful. The Treasury’s emanations are nearly always wrong. Yet the organs of the establishment trot out the Treasury’s even more fantastical medium-term and long-term warnings of income foregone after we’ve left the EU empire, even with a deal. Its assessment of the Brexit impact on productivity growth is based on the so-called gravity model of trade. Unsurprisingly, however, the Treasury model, despite being used by a highly-politicised body, ignores the most important aspect of the relationship: what happens to the power of those in charge when trade arrangements change? The gravity model has been based mainly on the experience of the integration of previously backward and/or communist countries into the capitalist world economy. When operated in the Treasury’s biased way, it attributes just to the volume of trade impacts that should be attributed to an associated institutional and political improvement, and in particular a reduction in the exploitative power of rent-seeking organisations, whether public (the state) or private (big landlords and monopoly firms). The Treasury thus reverses the correct sign of the productivity impact of Brexit. There will be substantial long-run Brexit gains in productive potential (a Corbyn/McDonnell government is an obviously important caveat to this but one less likely to be relevant in a no-deal scenario with a proper Conservative leader than in a May-capitulation scenario). The political system would become more democratic and open; the power of those in charge would be reduced; we would be freed from the EU’s protectionist customs union and could reduce tariffs with the rest of the world, whether reciprocally or unilaterally; and we would be freed from the anti-competitive (and very obviously anti-British) Single Market rules. What about the threatened biblical plagues that will supposedly be visited on us if we leave without a deal? Why were these blood-curdling threats not made in the Scottish referendum? Quite rightly, no one would have believed such stories. No one would ever have imagined that the rest of the UK would have blockaded Scotland; and Brussels knew that if it had ordered Britain to institute a blockade that order would have been ignored, creating an immediate crisis for the whole EU edifice. So why do Brussels and the civil service now make fearful threats about no deal? Where Brussels, Berlin and Paris are concerned, the answer is obvious. In the Scottish case, they reasoned on the principle that ‘my enemy’s [England’s] enemy [Scotland, as they saw it, ignoring three hundred years of shared history] is my friend.’ In the Brexit case, there is just an enemy – Britain – which must be impoverished, subjugated and humiliated. As for the domestic branch of the nomenklatura, one shudders to think what might be shaping its attitude. The economic and, importantly, financial-system cost (and, even more, the security and defence cost) to the EU as a whole – and particularly to some individual EU countries, such as Ireland, and sectors, such as the German auto industry – of a no-deal Brexit and no FTA will be substantial. May’s deal, in contrast, would be very beneficial to the EU, allowing it to impose additional regulatory burdens on British firms and gain access to British markets on terms unfavourable to Britain, as bait in FTAs with other countries. So one can understand why the EU prefers May’s capitulation deal, even without taking into consideration the dreadful dilemma for the EU about the Irish border question it will have created for itself if there is no deal. But if the trahison des clercs of the British Establishment is defeated, and we leave without a May-type deal, will the EU institute a punishment blockade? One hopes there will be bilateral side deals. But one cannot ignore the motivation of the EU. Its mindset is arguably that the war – a war against political legitimacy – has never ended. Britain is now the most vulnerable part of the ‘Anglo-Saxon’ world, as it was in 1803-05 and in 1940. The obstruction of supplies of food and medicines to Britain would in effect be an act of aggression – but simply a more overt act in what has always been a long-running fight against the ‘Anglo-Saxon model’. So either no deal holds no terrors, or terrors have to be confronted, as we once confronted Napoleon. Defending our independence, and by extension that of every European people, from an historically vengeful European Empire is worth more than a container-load of avocados.